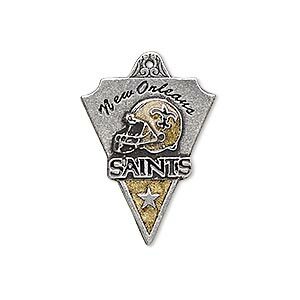 Charm, enamel and "pewter" (zinc-based alloy), black and gold, 28x19mm single-sided NFL® New Orleans Saints. Sold individually. 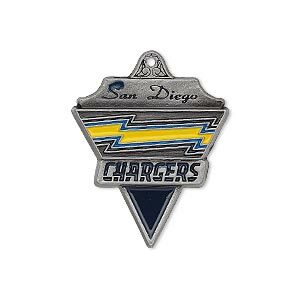 Charm, enamel and "pewter" (zinc-based alloy), yellow and blue, 29x23mm single-sided NFL® San Diego Chargers. Sold individually. 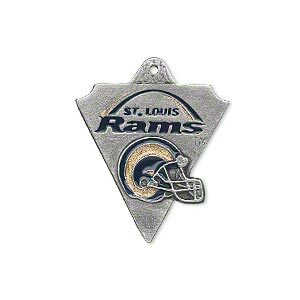 Charm, enamel and "pewter" (zinc-based alloy), blue and gold, 28x22mm single-sided NFL® St. Louis Rams. Sold individually. 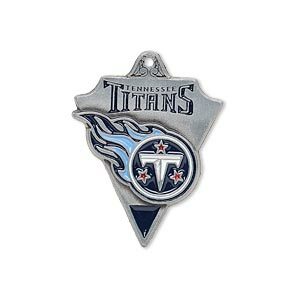 Charm, enamel and "pewter" (zinc-based alloy), blue and red, 29x22mm single-sided NFL® Tennessee Titans. Sold individually. 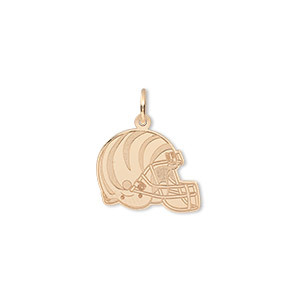 Charm, 14Kt gold, 14x13mm single-sided NFL® Cincinnati Bengals helmet. Sold individually.